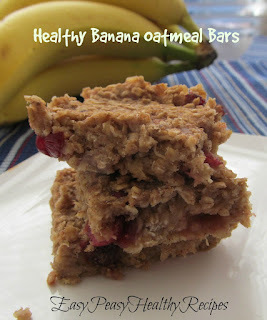 I love the fact that these healthy wholesome bars contain no added sugar but still taste great! 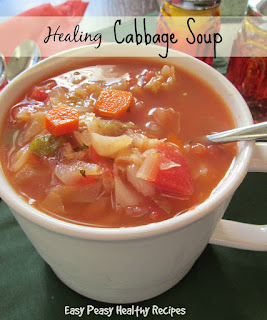 Very moist and full of healthy ingredients. These make a great snack bar or a quick breakfast to take on the go. I used dried cranberries but you could always substitute raisins instead. 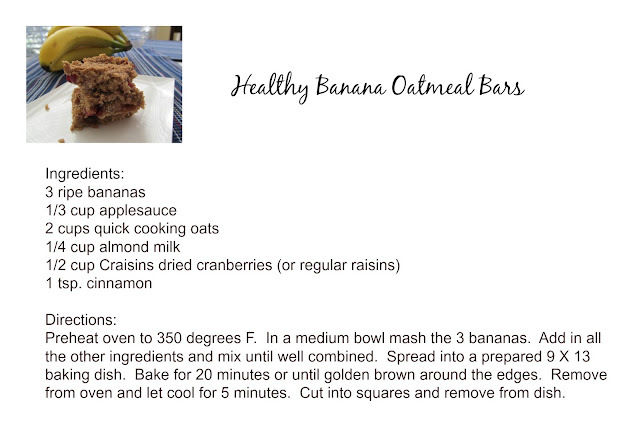 Only 6 ingredients needed to make these yummy bars. 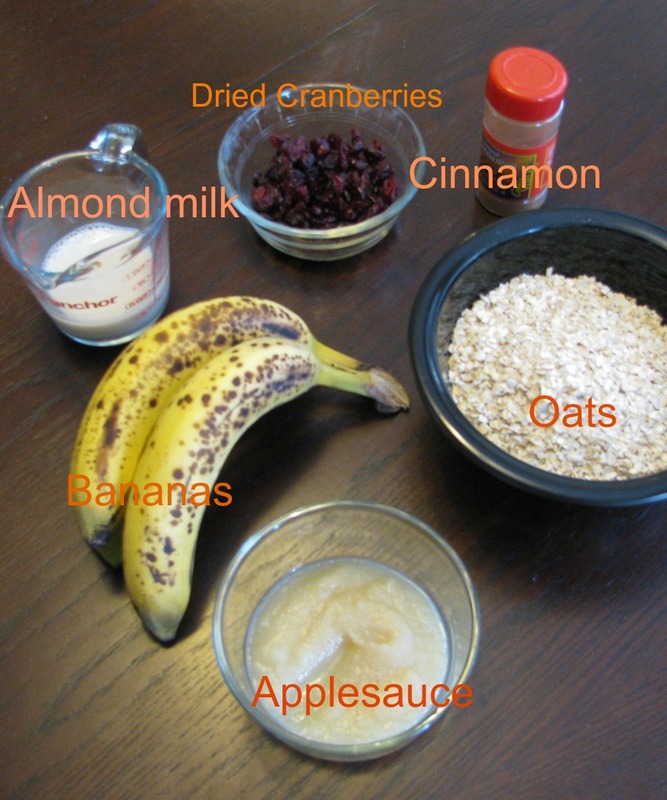 Ripe bananas, applesauce, oats, almond milk, dried cranberries, and cinnamon. Mash up three bananas in a bowl. The riper the better! Mix in all of the other ingredients until combined well. Spray a 9 X 13 inch baking dish with non-stick spray. Spread mixture evenly into baking dish. Bake for 20 minutes at 350 degrees. Let cool for 5 minutes and cut into squares and remove from baking dish. Enjoy!